Electric toothbrush ratings can become important when you make the decision to shell out on these often costly purchases. No one wants to buy a lemon, after all. How do you know you’re making the right decision and picking a good, durable electric toothbrush that will do what you need it too? Here are some of our favorite electric toothbrushes for you to look through. Remember that most ‘electric’ toothbrushes are in fact rechargeable battery-driven toothbrushes. This means you will have to give careful consideration to the length of time it takes to charge [no one wants to go off in the morning with dirty teeth due to a battery failure] as well as how long it will hold charge, and it’s always a good idea to check exactly how waterproof the unit is. Remember there’s a difference between water-resistant and waterproof. This is a great all-around choice, and a good buy for a beginner too. 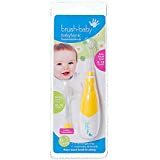 It offers pulsating and rotating action [the cheapest brushes only use rotating], has a comfort grip handle that won’t slip even if wet, and is quieter than many electric toothbrushes. Oral-B’s toothbrush head range is interchangeable, so you will have access to all the available styles, although the unit itself ships with a cross-action head as default. 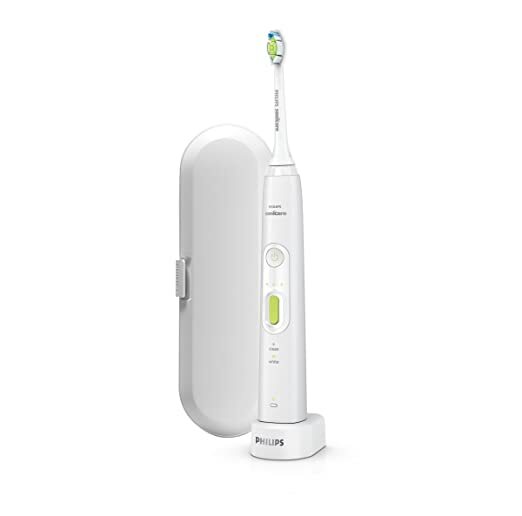 It’s not the fanciest toothbrush on the market, but then again that`s personal taste, but it’s one you’ll enjoy using as it efficiently gets the job done.Check my earlier post on electric toothbrush heads and see which can be interchanged.Price is from $68.37 at Amazon.Oral B Pro 3000 has over 1,270 positive reviews(4 stars) at Amazon. 25500 strokes a minute is an awful lot of serious cleaning. This is a high-end unit with an impressive price tag, but it offers some interesting and unique features with it. It automatically alters both cleaning speed and action depending on where in the mouth it is situated. Despite dealing a lot of power, it is also suitable for use on sensitive teeth, and will not damage enamel. The biggest let-down is battery life, which always suffers a little on the brushes that offer a lot of functionality. Fortunately, this compensates with a quick charge time. If you’re looking for a brush with all the bells and whistles, this makes a great choice. It is equipped with a non-slip handle so even with wet hands, you have a tight hold. This isn’t the most impressive unit on our list, but it wins on lightness and portability. It also offers sonic cleaning technology at a pleasantly low price, combined with an [unnecessary but] adorable range of looks- hearts, abstract mazes and more. If your toothbrush needs to match the décor, or you travel a lot, the Sonic Chic may well be one of the best options to hand. It gets up to 22000 strokes a minute, making it a powerful little gadget too. With the slim size, it`s very handy for traveling, with three intensity settings, you can’t go wrong. Sonic care is so popular and has over 800 four-star rating from Amazon at the time of this post.At $99.95 and Free Shipping, you can`t go wrong here. While not strictly a toothbrush for daily use, the white is rather a toothbrush system designed for use once a week. It’s not one to use lightly or against instructions- rather read up carefully and make sure you follow all the instructions, or you risk damaging your enamel. It’s also not fully waterproof. However, it’s simple to use with the matching gel for an at-home whitening session that rivals the dentist so you can put that dentist visit off. 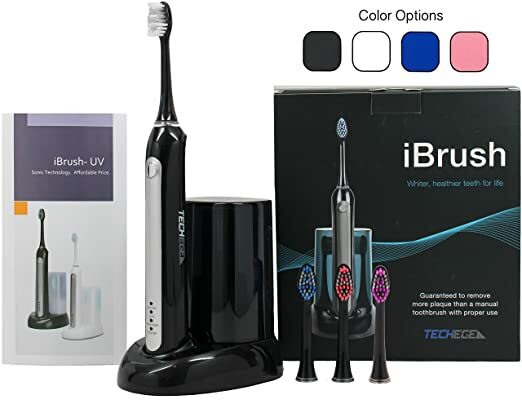 Unlike other electric toothbrushes, it`s fairly expensive at $509.99 from Amazon and does not offer free shipping. IBP Sonic Toothbrush with Sanitizer. One of those go-to germ facts is that your toothbrush is more likely to carry germs than your toilet seat. Kinda gross, right? Sadly true, though, mostly because keeping it clean and sanitary is one of those things we often forget to do, unlike with the toilet seat. So while this sanitizing base station is not the easiest thing to get on a small bathroom countertop, we can see why they added this feature to the bill. 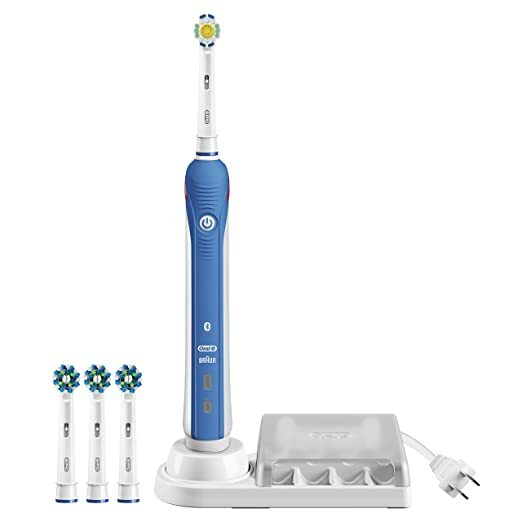 This is a 40 000 strokes per minute brush, so the unit itself isn’t slacking off either.Comes with 3 extra toothbrush heads and a timer so you know exactly how long you still have to brush.what I love here the most is the price tag, Beggining from $29.99 from Amazon and free shipping…..go for it. Kids are an often under-represented demographic in the electric toothbrush world, which makes this teeny-tiny toddler sized electric tooth brush an interesting entry to the list. With a quiet operation to avoid scaring little ones and the right head density for the age group. It’s a great way to introduce your little one to proper dental hygiene without too much fuss or overwhelming them. With a price tag starting from $13.23 from Amazon, it`s a perfect buy at a very affordable price. As you can see, the product offerings for electrical toothbrushes are huge. There’s bound to be a brush out there that’s perfect for your budget and purpose without you needing to scour the seas to find it. With our handy top-pick list of electric toothbrush ratings, you’re already off to a good start on finding the perfect brush for you. Conclusion On Electric Toothbrush Ratings As this post has proved, not the most expensive electric toothbrushes run with the best ratings, there are affordable brushes with just as high ratings. If you have any questions, please leave me a message below, if you found this post helpful, do share with friends on social media so they too can benefit.